It is so important to escape the city. 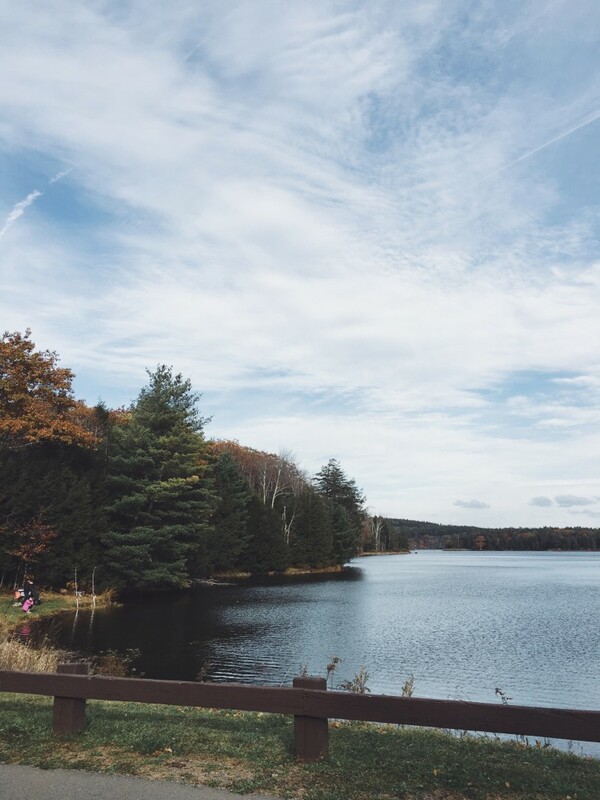 We don’t even know how important it is to just get out of town until you get there. And unwind. No looking back. At least for 48 hours. 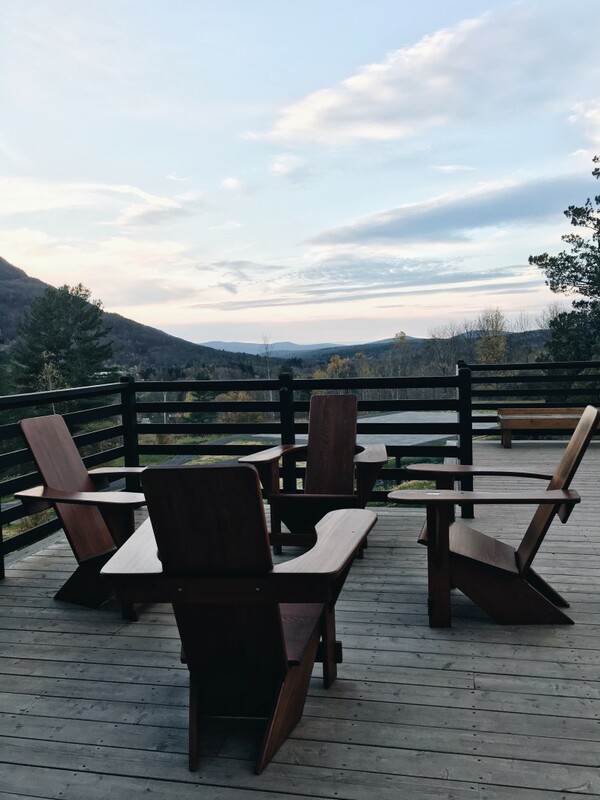 Thanks to the yoga gals over here and a upgrade of the Catskills old time lodge, Scribner’s Lodge, I was able to pack in a quiet weekend away from the city. Away from the hustle and bustle. 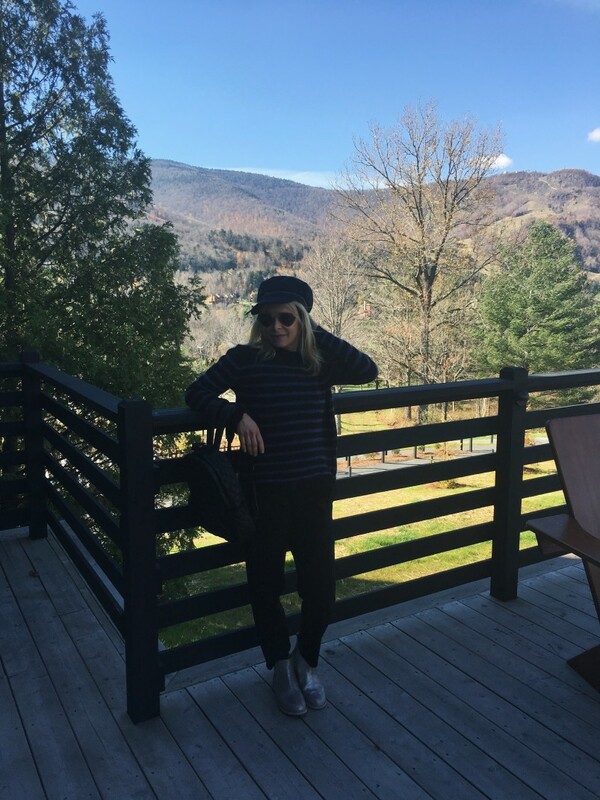 It was an amazing weekend getaway upstate. I haven’t been in Upstate New York in such a long time and it felt good to go back. I used to ski Hunter Mountain as a kid, but the Catskills really have changed. A lot. It’s quaint and spacious with beautiful rolling mountains. The trees sway in the brisk wind. It’s permanently sleepy. It is a place to let nature take you in. In addition to the gorgeous surroundings, we did yoga every morning with the sunrise and evening with the sun setting. It was so peaceful. While it is hard for me to quiet my mind, once I got there, it was easy to do. 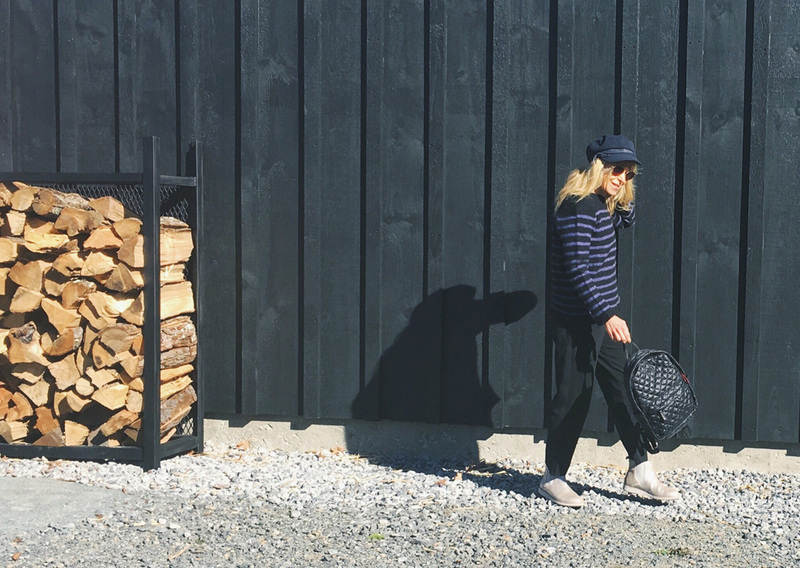 Read more about my weekend getaway upstate. The best thing about getting away for the weekend, is that you get out of your own head. You are one with nature, your surroundings, and the people that are there before you. Everything closes early once the sun goes down, especially in the fall and winter months. 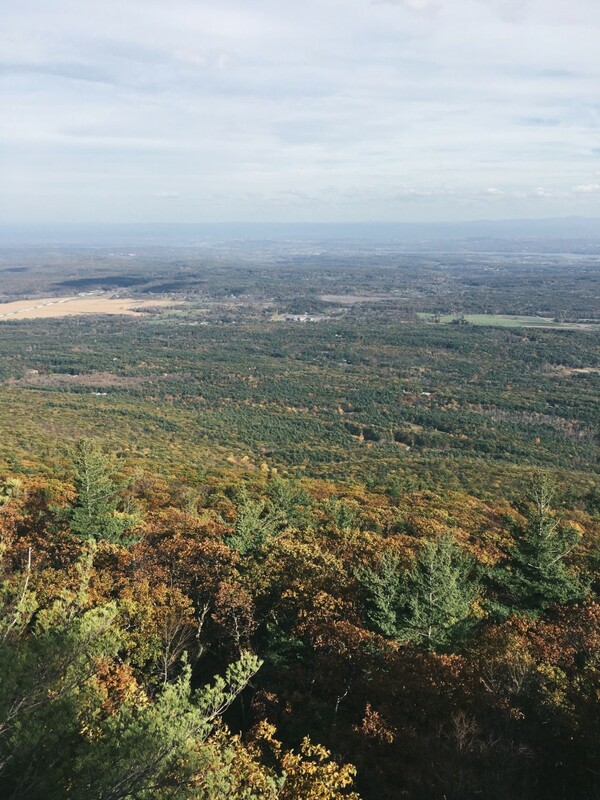 I hiked a random trail based on a local’s advice who told me it had beautiful views of the changing leaves. It didn’t disappoint. After sundown we toasted marshmallows by the fire pit. I had conversations with strangers. My stress from the week melted away as the day turned into night. 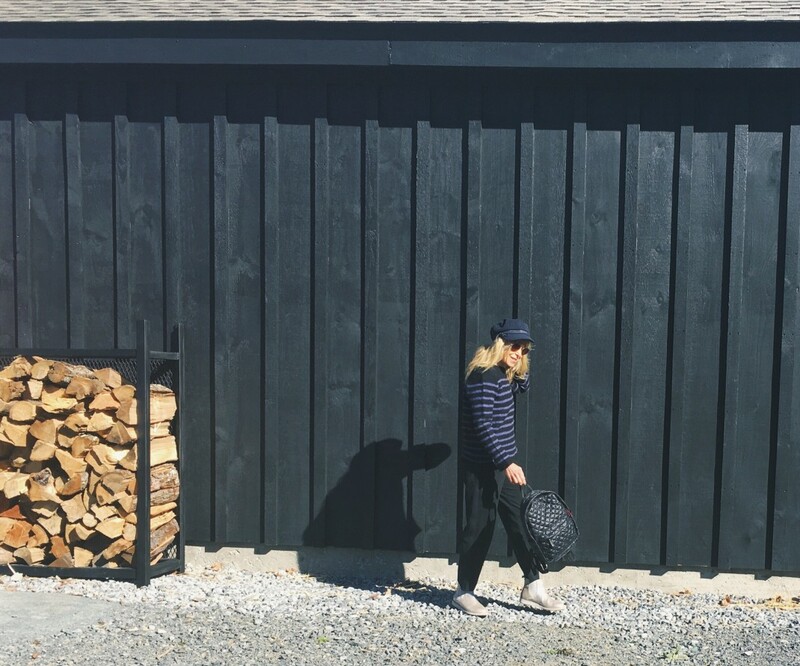 My two days in the Catskills was all about slowing down. Turning a new leaf, I am slowly learning to quiet my mind during the mental clutter that occupiers the space most days. And of course, wearing the perfect outfits for the ride. 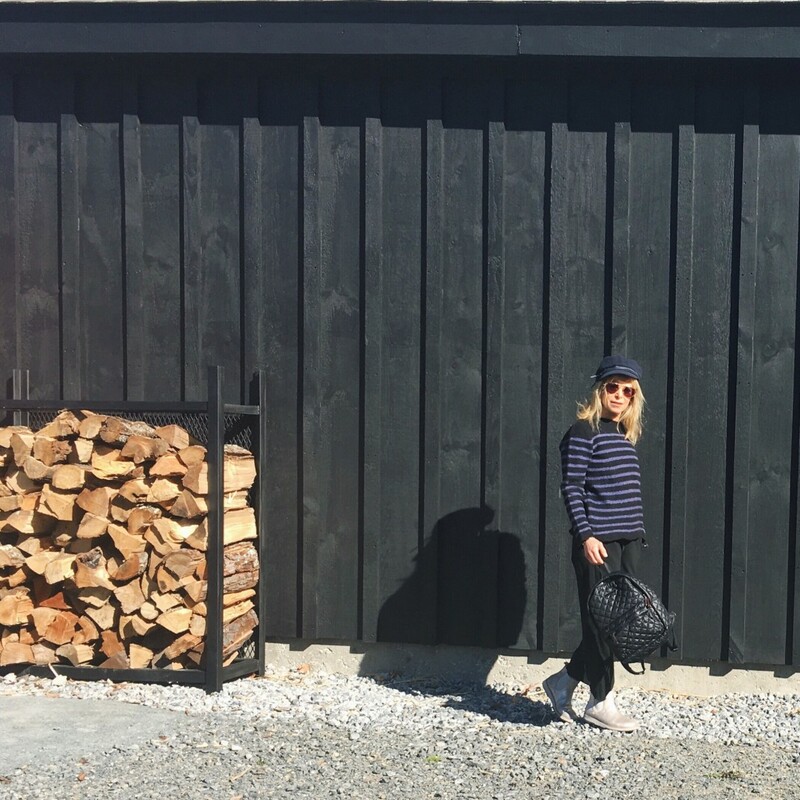 When I get away on most weekends, it’s not always about looking so fabulous but rather comfort and practicality is key. All I needed was a backpack, hiking boots, sunscreen on my face, and some well-needed bottles of water. And that was done rather easily with the help of MZ Wallace, EMU Australia, and Supergoop who graciously supplied me with my gear.